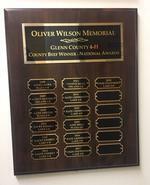 This perpetual award is given each year in Oliver Wilson’s memory to the top beef member. 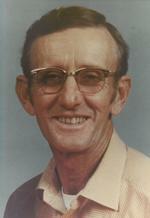 Oliver Wilson was a long-time 4-H supporter, especially in the beef project. The County Field days were also held at his ranch. In 1990, the Wilson family started a perpetual beef award in his memory. Each year a top beef project member is selected to be the recipient of this plaque. This award will be chosen based on the youth members’ application and qualifications.